A last minute opportunity arose for me to bird Kinmen properly for first time. The trigger for going on February 10/11/12 was a rumor of a Spoon-billed Sandpiper. I didn’t find the sandpiper but was not disappointed in any other way with Kinmen - or the fantastic bird life there. I highly recommend it both for the dedicated birder and new-bees - lots of great birds are very visible. Could it be the Kingfishers and Hoopoes? 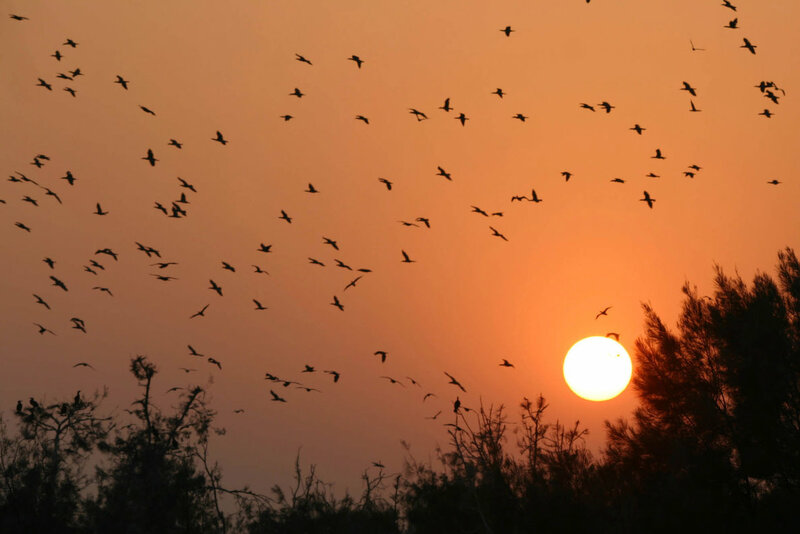 Or the thousands of Cormorants and tiny Sunbird? Or the many general-interest architecture/historical/military sights at easy reach? 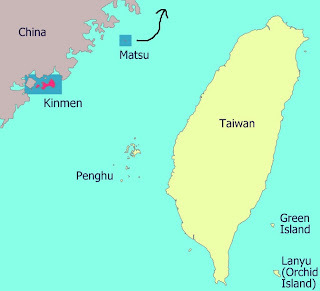 Also known as Jinmen or Quemoy, Kinmen is is a pair of Taiwan-controlled islands just of the coast of China. Its ‘interesting history’ has left it very rural and the enviroment in good shape - in contrast to the cities just across the narrow strait in bandit Fujian. Much of Kinmen is designated national park. It is easy to fly there from several cities in Taiwan, or by ferry from the Chinese city of Xiamen. Note: you will need a Chinese visa prepared in advance if wanting to cross to Xiamen. I got around by motor-scooter rented at the airport (bring your driving licence), also possible to rent cars or bicycles. The public bus system seems good. Easiest to stay in Jincheng Town. Maps available at airport, good bilingual signposting, bring Bradt or Lonely Planet. If you use common sense around the handful of uncleared minefields (marked - don’t enter...are you that stupid?) and the many military installations (no climbing over walls or razor wire...) you will have no problems. 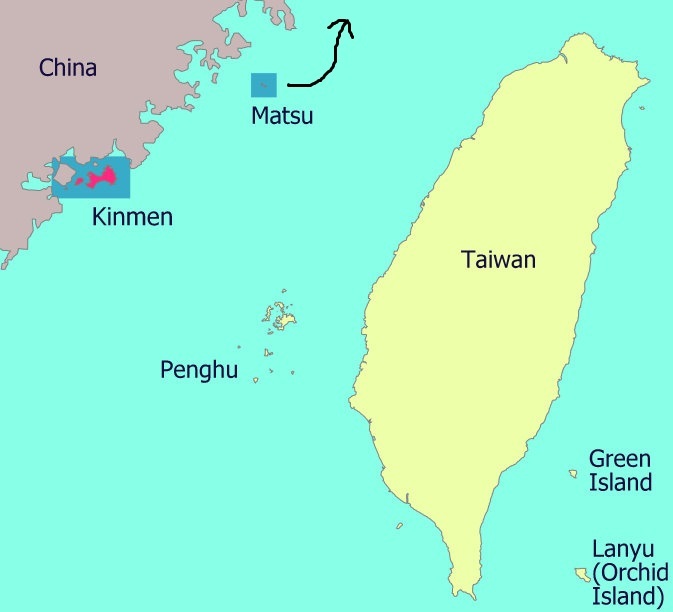 Kinmen has a subtropical maritime climate. 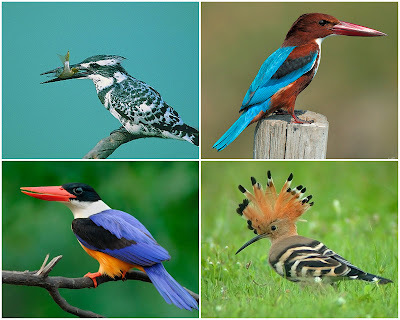 Winter and spring/fall migration-time, are the best seasons to visit. A summer highlight is the Blue-tailed Bee-eater. I birded Kinmen and Little Kinmen (aka Lieyu, regular ferries from Shueitou Dock) intensively over two half days and one full day. The weather was cool (cold since riding scooter) on the second day, dry throughout. Most parts of the islands were good for birds - favorite places included the tidal flats near Jincheng, Lake Ci, Shuangli Wetlands, Tiendun Aqua-farms near Shamei, and the lakes on the western side of Little Kinmen. I suggest targeting the many wetland areas, the estuaries just north of Jincheng and south of Lake Ci, and exploring random small roads through farms. All good! Light-vented Bulbul - very common everywhere! ; Dusky Warbler - 3 or 4 observed; Pallas’s Leaf-Warbler - 5-10 seen in different habitats; Yellow-browed Warbler; Oriental Reed-Warbler; Yellow-bellied Prinia; Plain Prinia; Oriental Magpie-Robin - common everywhere, lovely bird, rare on Taiwan proper; Daurien Redstart - many seen in various habitats, more common than on Taiwan; Blue Rock-thrush - one seen near National Park Rushan area; Stonechat - 1 at Mashan; Blue Whistling-thrush 2 seen, 1 on Little Kinmen, 1 near Tiendun; Scaly Thrush - 1 in forest near Ohtsu; Eurasian Blackbird - over 10 seen in various places with flocks of Mynas; Pale Thrush -1; Dusky Thrush; Hwamei - 1; Japanese White-eyes - many seen in many locations; Black-collared Starling; Chestnut-cheeked Starling; White-shoulder Starling - 1, rare in winter; Fork-tailed Sunbird - 3 seen in the flowering trees next to Rushan NP visitor car park; Eastern Yellow Wagtail; Gray Wagtail; White Wagtail - 30+ different subspecies from Taiwan proper; Olive-backed Pipit - 1 or 2; Black-faced Bunting - about 10 in several places; Oriental Greenfinch - about 10 on fruiting trees on south side of Ci Lake breakwater; Yellow-billed Grosbeak - also about 10 in same location as Greenfinchs; Eurasian Tree Sparrow - common; Scaly-breasted - 2 small flocks. 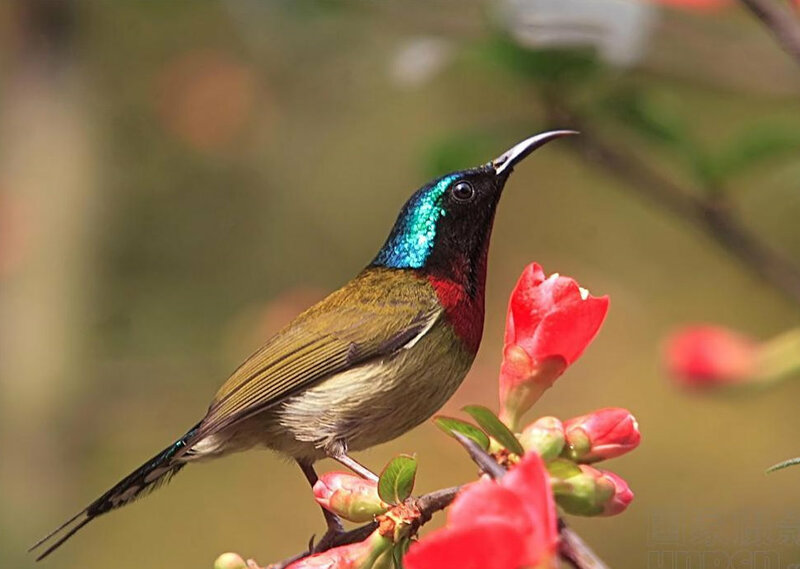 Note, some of these birds are difficult or impossible to see on Taiwan proper.